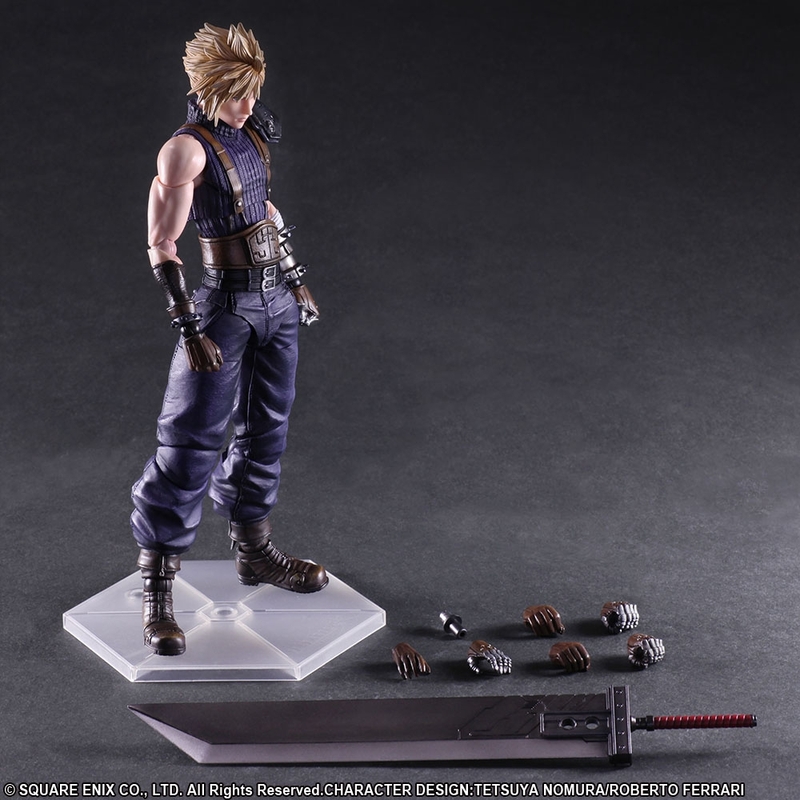 A few photos of an upcoming Special Color Version of the Final Fantasy VII Remake – Cloud Strife Play Arts Kai Figure have been released by Square Enix. 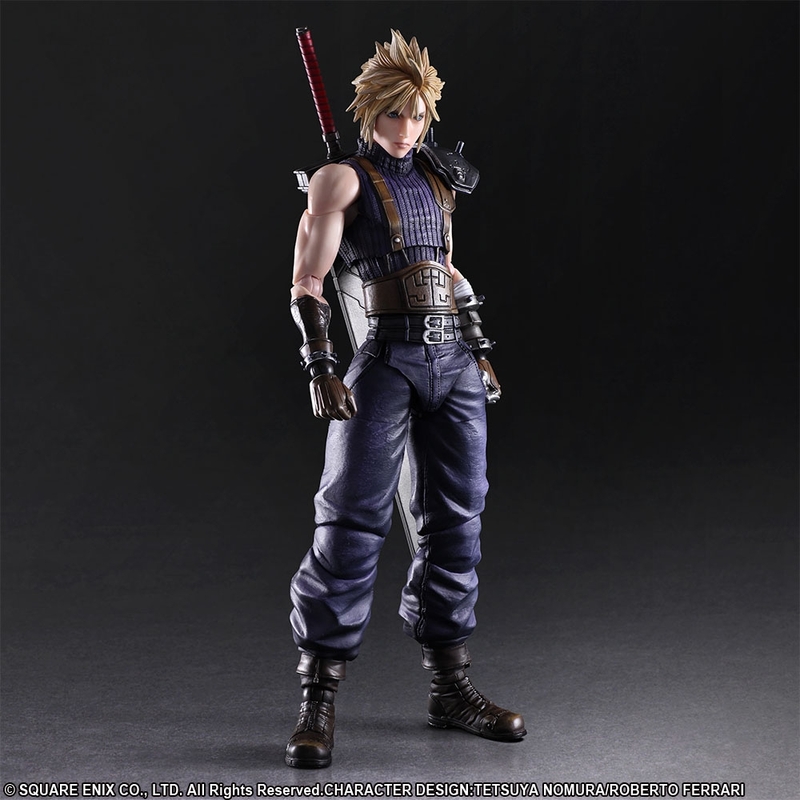 We originally saw official photos for Cloud and Barret back in December, and the first version of Cloud was released in April. The Cloud Strike Special Color Version is due in late August. The new photos show that the figure has undergone some major color adjustments. 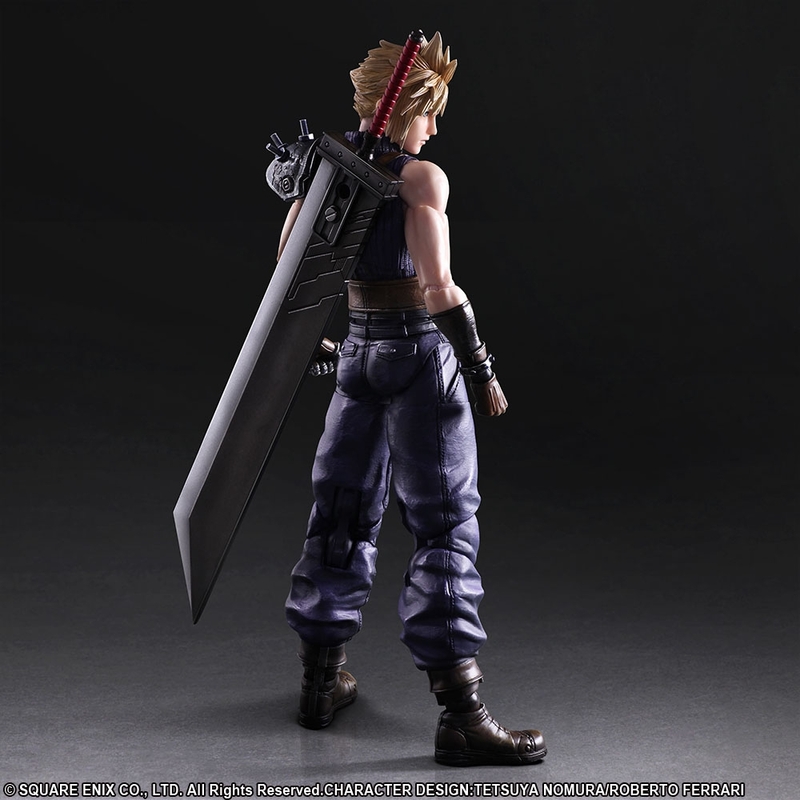 Cloud now has much more vibrant colors on the outfit and paint changes to his Buster Sword. 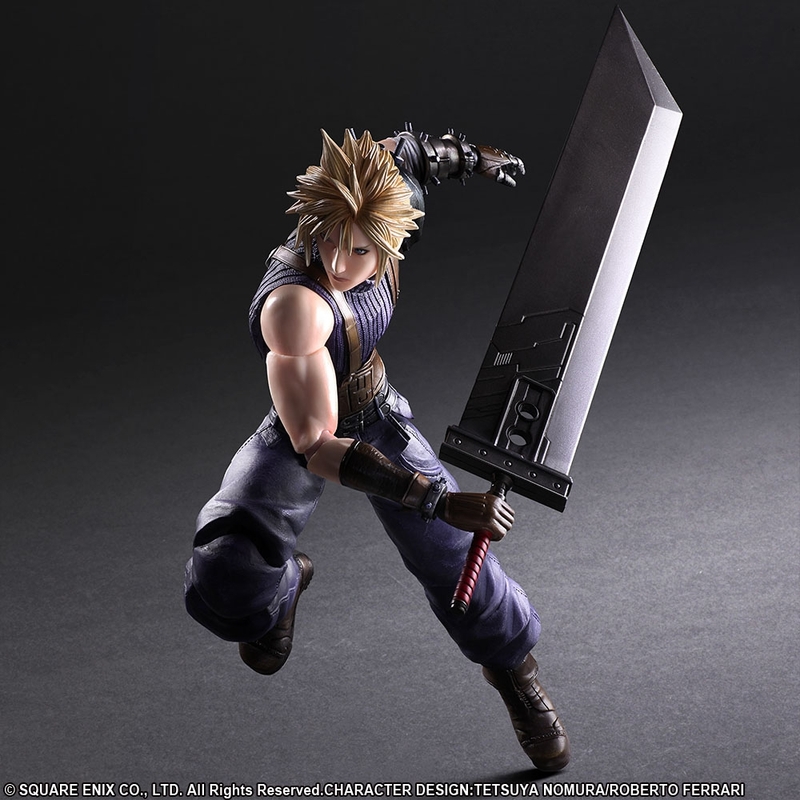 The Cloud Strife figure stands nearly 10.75″ tall and will include his Buster Sword, multiple interchangeable hands and a figure stand. The buster Sword measures nearly 10″ in length. 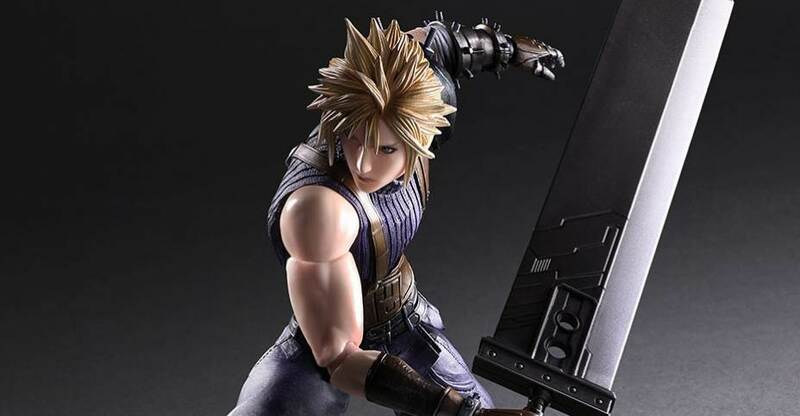 The figure will be priced at 15,984 (about $143 USD). Read on for the new photos. I like the other one just fine. 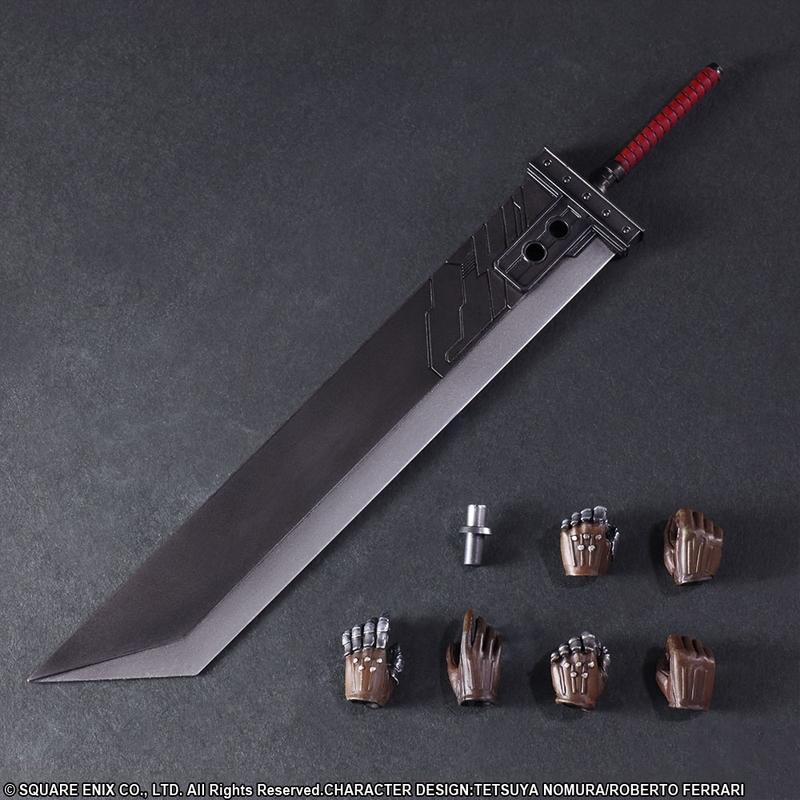 The FFVII Advent Children Cloud version had so much more weapon parts, and was much cheaper. This one seems mediocre in that sense. I preordered the original from mhtoyshop and it isn't in stock yet. Now I'm wondering if they'll let me transfer that preorder to this figure without hitting me with the cancellation fee. Probably not I think. Damn it. And moments after making this post I got the invoice for Cloud. How about that? Ha ha. $150? OH HELL NO!!!! That is $100 too much. Yes, he looks awesome, but not THAT awesome unless he comes with every sword in the game.